At Empowering Parents, we’re often asked about appropriate consequences. But in many cases, the most effective consequences require you to do nothing at all. Most of us learn nicely from our mistakes or missteps. If we drive too fast, we might get a ticket – an expensive lesson. Our children are no different. They learn well from their mistakes. For instance, if your child doesn’t do his homework, he’ll get detention and/or a bad grade for missing an assignment. That’s the consequence. If your toddler refuses to wear mittens outside, she might get uncomfortably cold hands. Rather than attempting to change your child’s course, you can choose to let them experience the natural consequences of their choices. Stay on the lookout for natural consequences. They are all around us. If you are accustomed to giving consequences for certain behaviors, you might not recognize the potential effectiveness of a natural consequence. Don’t save your child from a natural consequence. If you can stand it! 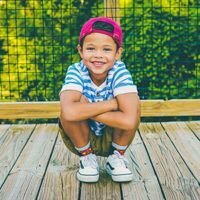 Understandably, many parents have a hard time watching their child experience the physical or psychological discomfort that can be such a powerful learning experience. But your child learns best if she experiences the entire scenario: her choice and the consequence that follows.You can certainly give your child a warning, but if she decides to ignore your advice, allow the consequence to happen without intervening. Of course parents need to intervene if you think there’s serious risk or danger involved. Recognize when a natural consequence is enough. If your child rides his bike too fast and he falls, that may be sufficient. Shaken up and scraped, he probably learned his lesson and will change his behavior next time. An additional consequence isn’t necessary. Watch for changing behavior…or not. Observe what happens the next time your child repeats the behavior. Did they learn from their previous experience? If you see change, wonderful. If not, evaluate whether you need to intervene and give another consequence. Natural consequences are very powerful learning opportunities; they can foster self-reliance and growth. Knowing when and how to let them work for you and your child involves some letting go, allowing your child to experience the consequence when appropriate, and looking for signs of change. If you would like more guidance on using natural consequences, this article is a great place to start: 5 Areas to Let Your Child Face Natural Consequences.